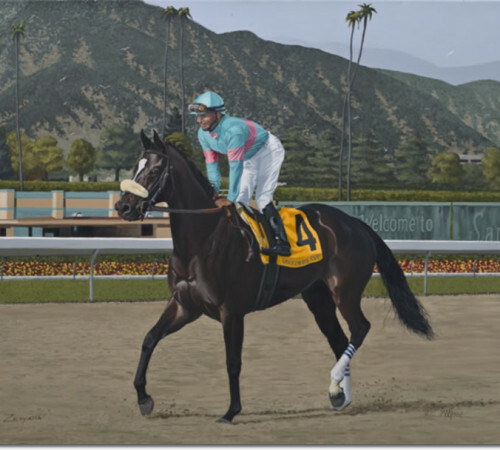 Nick Martinez Art » Products Page » 2010 » "Tribute to Zenyatta"
Zenyatta, a daughter of Street Cry out of the Irish mare Vertigineux-by Kris S. Zenyatta ran till she was six years old,winning 19 consecutive times earning $6,404,580.00 for her wins. Her only defeat was in the 2010 Breeders Cup Classic she ran 2nd by a nose.Zenyatta was voted Horse of the year in 2011. Owned by Ann and Jerry Moss trained by John Shirreffs. 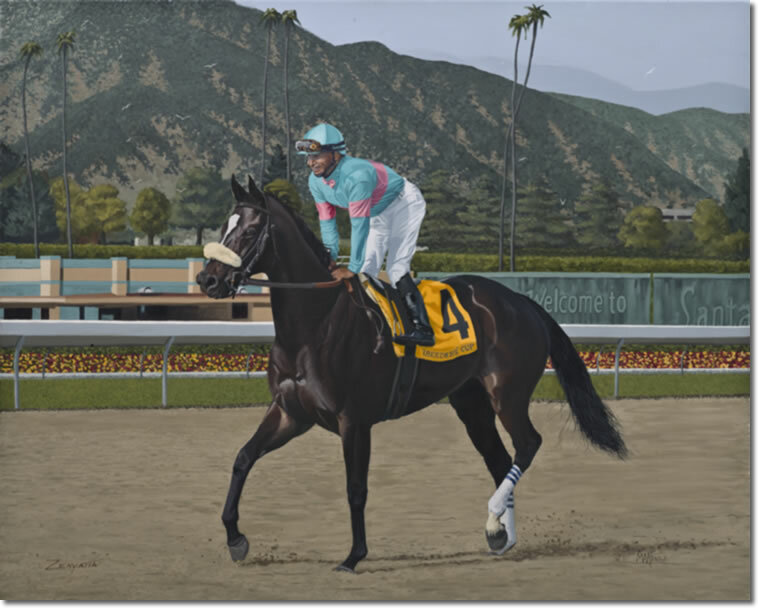 One of the greatest race horses in the history of Thoroughbred racing.